DWX-4W Maintenance checklist provides all steps for proper maintenance and care of the wet mill. This Maintenance Guide covers the daily, weekly, and monthly schedules to performing maintenance on the DWX-4W. Guide to maintaining DWX-4W nozzle integrity. Safety data sheet for coolant additive (ZAW-1000D) for the DWX-4W. 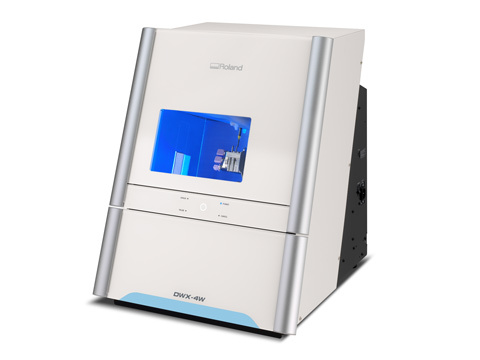 This Setup Guide will assist users in the installation and setup of the DWX-4W dental mill. CliniCAD is design software for the dental clinic. This software allows the development of crown, inlay, onlay, and veneer restorations. This download will install MillBox 1.3.2 on your computer. MillBox DGSHAPE Wet 2.3.1 is the latest installer for the DWX-42W and DWX-4W dental mills. This update improves milling strategies for inlays, onlays and veneers. This video will walk you through the proper steps for completing collet maintenance on the DWX-4W. This video will walk you through the steps to successfully perform coolant replacement for the DWX-4W.